I personally fail a lot. On the flip-side, I also win a lot. Small wins, but wins nonetheless. Small wins, when working towards the same goal, become a “big” win. Do you ever recognize your small wins? If your goal is to lose weight, and you lost 1 kg, do you write it down somewhere? If your goal is to stop smoking and you haven’t smoked for 2 days, do you write it down somewhere? 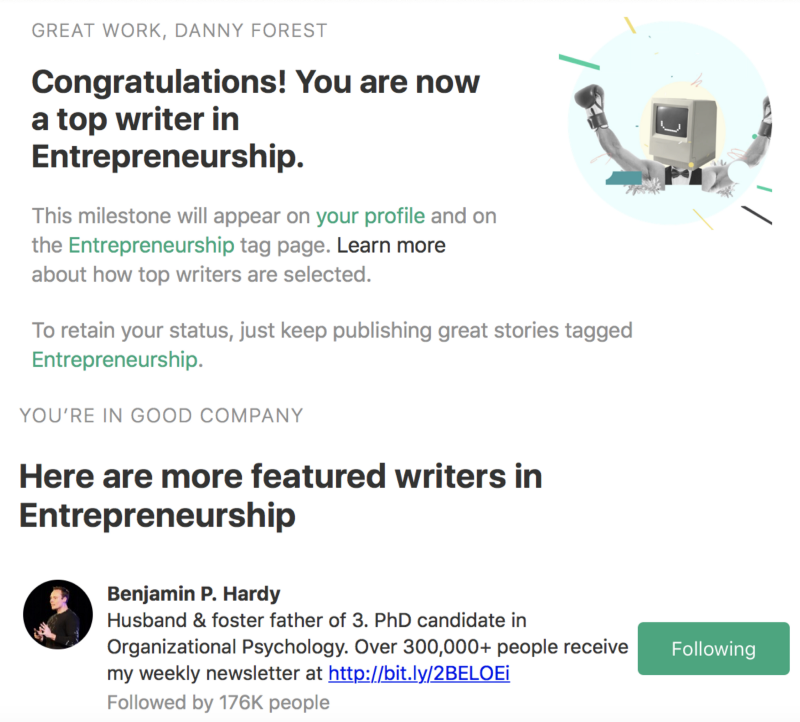 Do you write on Medium and got published for the first time? Do you write it down somewhere? I realized that ever since I started writing on Medium back in January, I’ve noted pretty much every achievement I could have. And that, folks, boosted my motivation tenfold! This comment by Abdullah A. Amien (sorry I couldn’t find your username) made my week. Anyway, I could go on and on. I have a notebook full of those little achievements. But you see my point, right? I don’t say that to brag. I just want to show you the importance of recognizing your little wins. None of the ones I posted above are particularly “epic”. You can imagine the amount of motivation I got for continuing writing after all those little things! Whatever your goals are, “celebrate” all the little wins towards them, and you’ll see that, over time, they add up and dramatically boost your motivation. The subject for this story actually came up to me yesterday when I made my first sale for VikingBoutique.com. And you can guess, I took a screenshot! That same day, I had two other wins: I got confirmation from a leatherworker artisan that they’re willing to partner up with me for Viking Boutique, and I found a firm willing to help promote the store for free as their firm’s first client. That’s correct, I took note of it! Whatever it is that you do or work towards, you have to realize that your journey to success will come in a series of wins and fails. Wins, however small, help you keep going through hard times. When times are tough, you can always refer back to the wins you noted, and remember why you did it in the first place. I keep writing because I keep receiving comments like the ones above. I keep improving Viking Boutique because of great comments I get from people when I pitch it to them. Plus, I made a sale! Don’t quit on “failure”. Learn from it. Remember your small wins. Celebrate them. Collect them. Refer to them frequently. Remember your ultimate goal. Small wins lead to big wins.